Home » Comedy » Lovely Jubbly! Could there be a Del Boy statue in Ealing’s future? 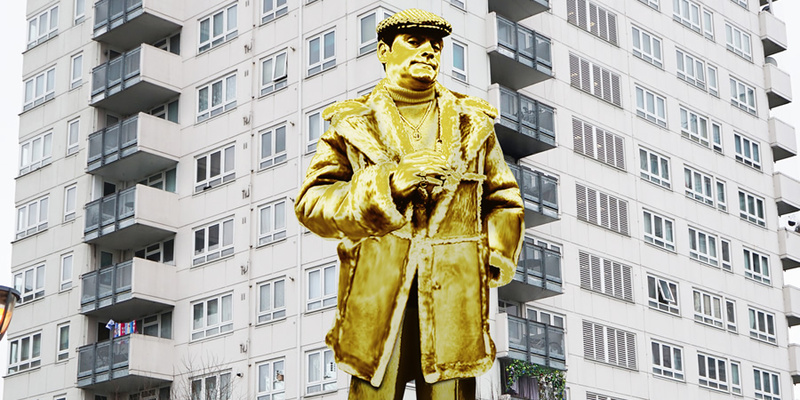 At long last, after seven seasons and 64 episodes of questionable get-rich quick schemes — mainly composed of buying and selling poor-quality and illegal goods — Derek “Del Boy” Trotter of Only Fools And Horses fame could become the latest addition to London’s list of statues. 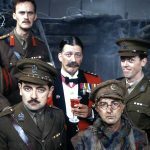 To this day, the series still holds the record of highest UK audience for a sitcom episode, attracting over 24.3 million viewers in 1996. 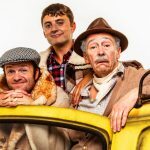 Set in Peckham in southeast London, Only Fools and Horses starred David Jason as the overly ambitious market trader Del Boy, with Nicholas Lyndhurst as his younger brother Rodney Trotter and Lennard Pearce as their elderly Grandad. The fast-talking, archetypal South London “fly” trader lived in a council flat in a high-rise tower block, Nelson Mandela House, with both Rodney and Grandad. Following the recent news that the tower block in Acton Gardens, Ealing, that provided the fictional setting for Nelson Mandela House in the sitcom’s opening credits was to be demolished, UK TV channel Gold launched a campaign to commemorate the West London location. 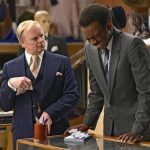 The fate of Harlech Tower, used to portray the exterior of Nelson Mandela House — where three generations of Trotters lived in the sitcom’s early seasons — was sealed. Planning permission had been granted by the Ealing council in December for 1,950 homes, with over 3,000 new homes being planned for future years. Acton Gardens has been undergoing redevelopment since 2012 with the new flats scheduled to be finished in the mid-2020s. They’re expected to be worth about £1 billion. Now THAT’S lovely jubbly! Gold’s petition campaign, which calls on Ealing Council to permit either the statue or a commemorative plaque to the show, needed 2,500 signatures in order to be submitted for consideration. As of this writing, the signature count was at 2,417! 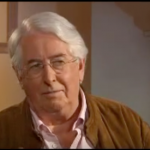 The Harlech Tower petition can be signed at Change.org. Be number 2,418! 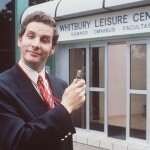 Is ‘Brittas Empire’ set for reboot?